Korea was a country I never knew much about before my first visit, and even then I only made that first visit because Korea was a stepping stone on my overland route from China to Japan after doing the Trans-Siberian Railway. I went there with no expectations and found a place I really liked (the food especially was a revelation! ), and I’ve since made repeated visits since while moving between Japan, China, and Taiwan, including spells living there for snowboarding and running Snow Guide Korea. 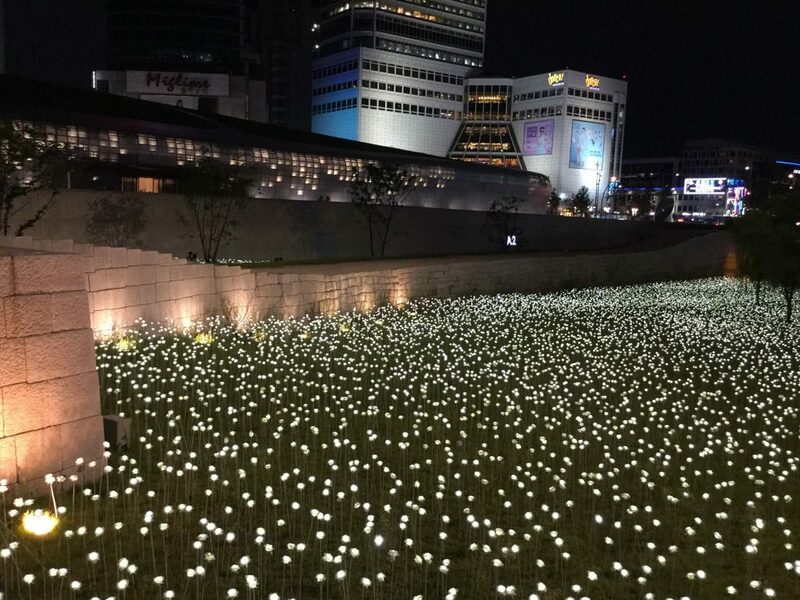 Seoul’s a buzzing place with great hiking right in the city, excellent transportation, lively nightlife, awesome food, and snowboarding close at hand; it ticks all the major boxes! As mentioned above, Korea’s position between China and Japan makes it a useful stepping stone on overland routes around NE Asia, with ferries plying a variety of routes to both (and also one route to Russia). There are over a dozen ferry routes from northern China to ports on Korea’s west coast (chiefly Incheon, next to Seoul). The most useful for overland travellers are Incheon – Dandong, Incheon – Dalian, Incheon – Tianjin, and Incheon – Qingdao; see my China – Korea ferry guide for full details on these routes. For Japan, the usual route is through Busan, SK’s second city and largest port, on the south-east coast. High speed hydrofoils run between Busan and Fukuoka in just a few hours, while slower car ferries run from Busan to Fukuoka, Shimonoseki, and all the way to Osaka. You can also reach Japan from Donghae (see below). The Busan ferry terminal is just a 10-minute walk from the main Busan train station where the KTX terminates. See my Korea – Japan ferry page for full details on all these routes. Korea’s public transportation is excellent, with well-developed road and rail networks. The KTX high speed rail connects the major cities and covers Seoul to Busan in under three hours for around 60 dollars; a highway bus does Seoul-Busan in six hours or so for half that price. You can easily buy train tickets on the day from the ticket machines or manned ticket counters at railway stations, but trains do sell out (especially during peak hours & on holidays) so if you want to be sure of a seat on a specific train it’s better to book in advance. Again you can do this in person by visiting a station, or you can try booking online on the official Korail site; depending on your browser or your credit/bank card it may not work for you, in which case try Trip.com for a more international-friendly and generally more user-friendly experience (there’s usually a small markup e.g. a couple of dollars on Seoul-Busan tickets, but Trip is sometimes actually cheaper than the official price). Likewise bus tickets can usually be bought without trouble at the terminal on the day, but during holidays it’s absolutely necessary to book days in advance. The official site only takes Korean bank cards unfortunately and the various apps available are still lacking English language support, so to book an advance bus ticket you’ll probably have to visit the bus terminal (the enormous Express Bus Terminal near Gangnam is the best bet for the majority of routes). There are ferries to Jeju Island leaving from various southern ports (listed here), local ferries to myriad offshore islands, and if you want to visit the controversial Dokdo (for all of 20 minutes) it’s a ferry from Pohang or Mukho (Donghae) on the east coast to Ulleungdo, and then a daytrip by boat to Dokdo from there. Go skiing. 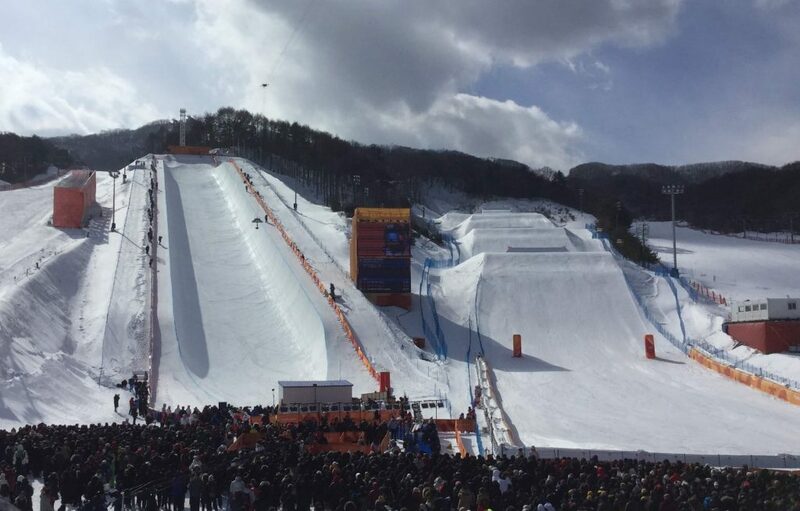 Korea is home to fifteen ski resorts, and the county of Pyeongchang hosted the 2018 Winter Olympics. The best skiing is in Gangwon-do province (where Pyeongchang is located), around 90 minutes from Seoul by KTX. If that’s too far, there are some smaller hills closer to Seoul which you can reach using free resort shuttles or city transport. 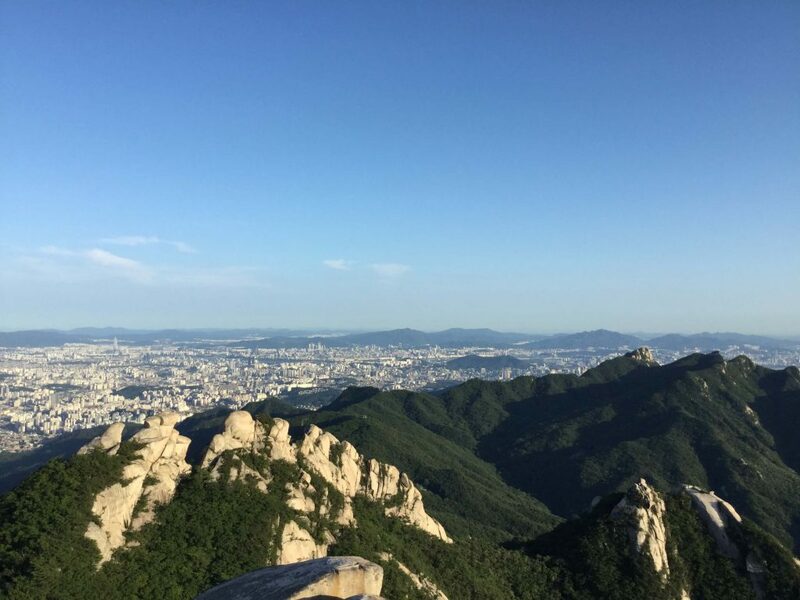 Go hiking – this is an extremely popular pastime in Korea, and the weekends see armies of Gortex-clad elderly Koreans marching up the mountains – and often then off-setting the health benefits with bottles of makgeolli (a fermented rice drink) on the summit! The country consists almost entirely of mountainous terrain, and you can do some really satisfying day hikes without even leaving the city. Eat. Korean cuisine is one of my favourites; spicy, hearty, and full of robust flavours, it gets straight down to business and doesn’t mess around. I love it! Drink get drunk. Korea knows how to party, and drinking is not done in moderation; you may be on holiday, but get drinking with the locals and your liver will be working overtime. Soju is a rough rice liquor drunk entirely for the alcohol content and not the taste, and downed by the shotload; you will be expected to drink your share! Check out the royal palaces and shrines in central Seoul, and the traditional housing in areas like Bukchon Hanok village. 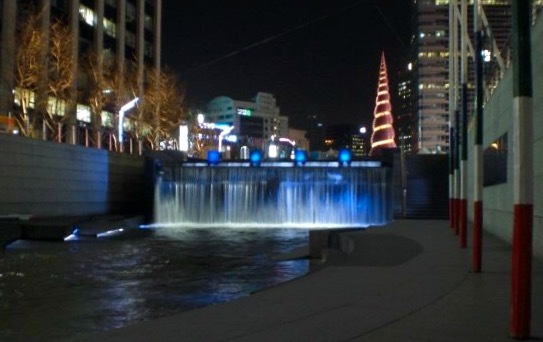 Take a stroll along Cheonggyecheon, a lovely stream running through Seoul that was formerly covered over by a highway before being uncovered and spruced up in an urban revitalisation scheme. Search Agoda for hotel deals in Korea. See the Korail website for train timetables & reservations; if you’re unable to make a booking there, Trip.com is reliable and reasonable.